Master the Art of Creating Killer Presentations! Learn the art of creating eye catching presentations that create an impact and makes the meetings and presentations livelier and more meaningful. You will explore the components of the results-oriented interface of the PowerPoint environment and customize the interface to suit your requirements. You will identify and use the new and enhanced features of PowerPoint 2013 to create dynamic and visually appealing presentations. You will then finalize a presentation and secure it with a digital signature to authenticate its validity. This course is designed for Beginner & experienced PowerPoint users alike. You will learn new techniques and tricks to work with ease in using Microsoft PowerPoint 2013 and master the tool in this 2 day, Practical, Hands-on Workshop. Explore the new interface components of PowerPoint and customize the PowerPoint environment. Enhance a presentation by applying custom layouts and themes. Create dynamic presentations by applying advanced text and graphic effects. Finalize a presentation by customizing slide shows, securing the presentation, and saving the presentation. Basic knowledge of computers, using the keyboard, mouse and Windows is required. This is a beginner level program, so we will teach you all about getting started with PowerPoint, and then how to get the most of it for day to day use at your office or home. Register for the 2 Days Mastering PowerPoint 2013 today by simply clicking on the chosen course date available at the top of this page. 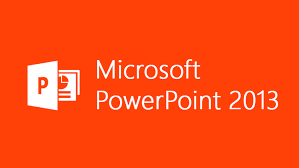 Submit an online enquiry if you have any questions regarding Mastering PowerPoint 2013 training. You can call us at +65 6296-2995 for your Customized Corporate training enquiry. Note: This class is a very practical, and hands-on workshop session. It requires you to take part in PowerPoint exercises during the class. A laptop with PowerPoint 2013 pre-loaded is provided to each participant, for use during this workshop. Join today, And Master PowerPoint 2013 easily, with step by step instructions, helpful, patient, Microsoft Certified Trainers are here to guide you. Call us at +65 6296-2995 or email to training@intellisoft.com.sg for any questions, or to register for the upcoming class of Mastering PowerPoint 2013. A good balance of theory & practical sessions. Very patient & knowledgeable trainer. New skills attained. Trainer covered important tips & tricks of PowerPoint. Practical sessions & Interaction with participants are the greatest strength of this training. Trainer is very knowledgeable person. He ensures that the trainees understood the subject. The training can help to make my PowerPoint presentations attractive & informative. The pace was easy to follow, hand-on exercises helped me to understand the concept. Trainer was very patient & helpful.